Russia’s two newest missile corvettes, the Grad Sviyazhsk and the Uglich, have successfully undergone navy sea trials and will be assigned to the Caspian flotilla by July, a spokesman for the Southern Military District said Wednesday. 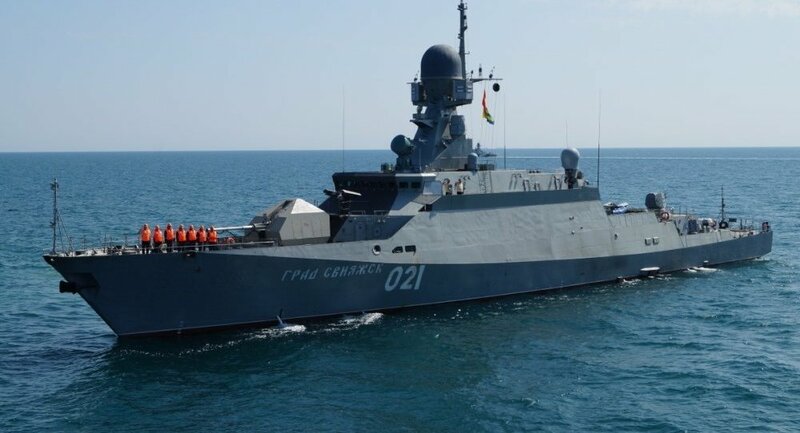 MOSCOW, April 30 (RIA Novosti) – Russia’s two newest missile corvettes, the Grad Sviyazhsk and the Uglich, have successfully undergone navy sea trials and will be assigned to the Caspian flotilla by July, a spokesman for the Southern Military District said Wednesday. “The two ships are due to join the Russian navy at the end of the first half of 2014. Most likely, they will be assigned to the Caspian flotilla by July 1,” the spokesman said. He added the pair will be the first Buyan-M-class corvettes to join the Caspian flotilla. Anatoly Shlemov, head of the state defense contracts department at the United Shipbuilding Corporation, earlier said the Russian navy would receive ten warships this year. The Navy is expecting the Veliky Ustyug corvette by late this year and six more warships of the same class by 2020, he said. Corvettes of the Buyan-M class have a displacement of 950 tons and a maximum speed of 25 knots. They are armed with Kalibr (SS-N-27) anti-ship missiles, 100-mm and 30-mm guns, as well as Igla-1M air defense missiles. The Caspian flotilla is based in Astrakhan.